Not all miles are equal. My favorite miles are US Airways miles because US Airways has a cheap award chart and lax routing rules. For a limited time, you can pick up 50,000 US Airways miles after your first purchase when you open the US Airways® Premier World MasterCard®. Fifty thousand US Airways miles are enough to book a roundtrip award flight to hundreds of destinations on US Airways and partners like American Airlines and Cathay Pacific. What destinations are available using just the sign up bonus from the US Airways MasterCard? How can you book a roundtrip ticket to South America or Europe using only sign up bonus miles? 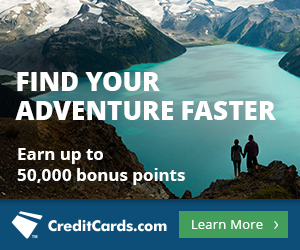 How can you book two roundtrip tickets to the Caribbean with the sign up bonus from one card? All awards price out at the roundtrip award price on the US Airways award chart. I have broken up the rest of this post by region. Every destination available using the bonus miles from signing up for just one card is listed below. The US Airways charges the standard 25,000 miles roundtrip for an award within the continental United States. That means the sign up bonus is enough for two round trip flights to anywhere that US Airways or American Airlines flies! New York to Los Angeles? Yup. Portland, Maine to Portland, Oregon? You got it. Miami to Seattle? For sure. Whether you’re hoping to attend a wedding, need some R&R on a nice beach, or want to escape the heat with a mountain vacation, 50,000 US Airways miles will get you and a friend/spouse/family member/stranger there and back. Signing up for this one card is worth two roundtrip tickets between anywhere in the United States and these six cities. US Airways places Alaska in the same region as the continental United States and Canada. Round trip award flights to Anchorage are also only 25,000 miles, meaning that if you open the card you can get two roundtrip tickets to Alaska. US Airways has fantastic off peak pricing to the Caribbean. From September 1-30, 2014, you can fly from the continental United States to the Caribbean for 25,000 US Airways miles roundtrip on US Airways planes. That means, sign up bonus on the US Airways® Premier World MasterCard® can get two roundtrip tickets to the Caribbean. Check out US Airways’ destinations in the Caribbean. US Airways features off peak pricing to Europe. For take offs from January 15 – February 28 each year, US Airways charges only 35,000 miles roundtrip from the United States to Europe. The US Airways® Premier World MasterCard® comes with 50,000 bonus miles after the first purchase. There is an $89 annual fee that is not waived the first year. Fifty thousand US Airways miles are enough for one roundtrip ticket to Hawaii, Mexico, the Caribbean, and Central America any time. Fifty thousand (really only 35,000 miles) US Airways miles are enough for one roundtrip ticket to any of 10 European cities from January 15 – February 28, 2015. The US Airways® Premier World MasterCard® with 50,000 bonus miles after first purchase and paying $89 annual fee. Great timing, I was thinking of getting this card again for the bonus, previously had it from 4/2013 but cancelled 5/2014. I’ve read that churning on this card is getting harder, any experiences with that? This article has actually convinced me to plan a trip on the off peak September dates. However, I won’t be able to be sure that I can I until right before. In this case, I would plan the trip and reserve a refundable hotel. My question is: has anyone had any experience with last minute booking on US Airways? It will be in off-peak September to the Caribbean. Thanks! Off peak tends to have space pretty late in the game. It is “off peak” pricing for a reason. Check out award space on your desired route now and see how it is. Check a few if necessary because US Airways flies to several Caribbean islands. can you use the miles along with the comapanion ticket you get with the card. i.e. if i were to book the 30k to europe in february can my spouse join me with the companion ticket? No, the companion ticket is for paid flights only, not award tickets. 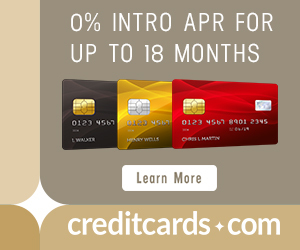 I signed up for this card last year, got the bonus miles and took advantage of the 0% APR for one year on balance transfers. Now the promotional APR has expired so I’ve paid the card off and now plan to cancel the card unless there is a good reason to keep it. I already have four international tickets booked for the remainder of this year that I booked before United’s devaluation, so I’m sure I won’t be booking any U.S. Airways flights this year. To me, it looks like there’s no reason to keep this card. Does anyone see a good reason to pay $95 to keep this card when I have no plans to fly U.S. Air in the near future? No. Unfortunately everyday spending is lucrative enough to justify the card. Do you know how long you have to wait after closing the account before you can get the bonus miles again? Could I buy a full price ticket using my Barclay arrival miles and then use the companion tickets? And is there any blackout dates with the companion tickets as there sometimes is for miles? Thanks! No, the full-price ticket has to be purchased with the US Airways card. Past posts about US Airways have mentioned the big merger and hinted at US Airways miles becoming less valuable. When will the US Airways award chart be devalued and when must we book trips to get the currently great benefits? The best info I have is that the integration will take place in early 2015. You’d have to BOOK by then to use the current chart, but you can always book up to 11 months in advance. I’ve seen recent speculation that the integration may happen in late 2015 or later. The bottom line is that we don’t know because the airlines have not told us. Not exactly true anymore. I booked 2 award tickets from MSY to St Kitts & back from St Thomas. They now route you on AA so you loose your 5ooo pt deduction & you also loose 1st free bag. Cost 70,000 mi + $181 for 2 tickets. Booked in May for flts leaving next week. But I’m happy because costs of tickets at the time were about $1000 each. This all sounds wonderful for those lucky enough to get the bonus miles by signing up with the U.S. Airways Premier card, but what of those who never get the FF miles? Even after fulfilling the purchase requirement? And what of the U.S. Airway’s non-existent customer service? Do these factors also color the card’s image? I’ve never heard of someone getting approved for the card and not getting the miles. Also, take it up with Barclaycard, not US Airways. I thought this sounded a little too good to be true. Just tried to book off-peak to Zurich – 30,000 miles EACH WAY. Am I missing something? What dates between January 15 and February 28, 2015, was Zurich 30k US Airways miles each way with ALL FLIGHTS operated by US AIRWAYS?